Why is Grenada Village so called, what is its relationship with the Caribbean, why do all its streets bear West Indian names? The answer is very interesting. 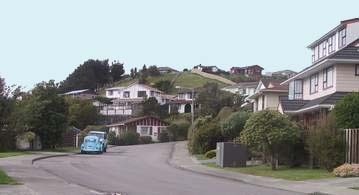 In 1976 when Grenada Village was first being developed, the Wellington City Council agreed that the name of the new suburb should give recognition to the first landowner whom was one of the first settlers of Wellington, and thus part of the initial colonisation of New Zealand. In England in the mid 1830's, substantial interest was being shown in the possibilities of settlement in New Zealand. The potential of this country with its great natural advantages and its basic lack of occupation was being prominently brought before the English public's attention. New Zealand's overall true value was swiftly becoming realised. As a result of this interest, the New Zealand Company was formed by Edward Gibbon Wakefield. Part of the concept of the company was to settle colonists on to pre-purchased land blocks. This was to be the commencement of practical and commercialised colonisation of this country. On 21 January 1840, Thomas Drake and his wife Ceres Selina along with their young daughter were among the first settlers to arrive in Wellington from London aboard the Aurora. Before leaving England, Drake, who had been educated at Eton and had worked in a London bank, had obtained by ballot on August 1, 1 839, Preliminary Land Order No. 330. This ultimately allowed Drake to select the 100 acre Porirua Section 17. Later he was able to purchase nearby sections 14, 15 and 19. The northern end of Section 19 is now part of Grenada Village. For 101 pounds sterling, Drake had purchased the right to one town acre and 100 country acres. This was the first subdivision of land in New Zealand. On arrival they lived first at Petone Beach, then on his town acre on The Terrace where the Wellington Club now stands. They then moved to the 100-acre rural block and sold 'Drake's Acre' to the Gentleman's Club. Drake started one of the earliest farming developments in this area and worked on the land until his death on June 21, 1889. 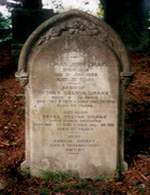 He is buried in the old Bolton Street cemetery. The farm was one of only a few in the region to run sheep rather than cattle and in 1853, it became the first farm in New Zealand to run Romney's, this country's most successful sheep breed. Drake was associated with the very first importation of these sheep. He also introduced and planted a number of exotic trees and shrubs, some of which still remain today. Many cuttings such as the rhododendron and macrocarpa were donated to Wellington's Botanic Garden. On several occasions, the Governor of New Zealand was entertained to afternoon tea at the homestead or among the laid out grounds. 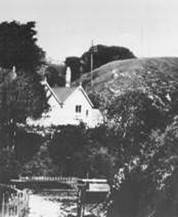 After his death, Drake's widow Ceres eventually sold all the land to the Government under the Small Farms Settlement scheme with the exception of that occupied by the original homestead situated east of the Old Porirua Rd. Ceres died in December 4, 1898 and her son Frank sold the home in 1905, to A.J.Tresize. The original house remained on the site until it burned down about 1937. The site today is on the area on the corner of Middleton Road and Wingfield Place near Johnsonville, and some of the trees that he planted still flourish today. Thomas Drake was a descendant of John Drake, who was the brother of Sir Francis Drake. John Drake had accompanied his brother Francis on the 'Golden Hind' around the world. He served on his brother's famous flagship at the time of the defeat of the Spanish Armada in 1588. John Drake was also the beneficiary of Sir Francis Drake's will. Sir Francis, although married twice, died in 1596 without heirs, and brother John was his closest relative. 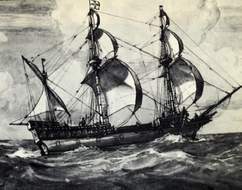 The Drake family had a naval and maritime association with the East India Company, which was formed as a result of a treaty Sir Francis Drake made with the Sultan of Ternate. The treaty ensured that England could trade in the East Indies, and marked the first milestone in the beginnings of the British Empire. Francis Drake (he was not knighted until 1581) had in 1572, obtained permission from Queen Elizabeth I for a pioneering commission that amounted to a licence to plunder and maraud the King of Spain's lands in the West Indies. He returned to England with a full cargo of Spanish silver (30 tons) and a reputation as a brilliant and eminent privateer. In 1580, Drake completed the first circumnavigation of the world by an English vessel. 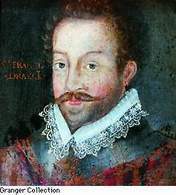 S ir Francis Drake made many further journeys to various places in the West Indies raiding Spanish settlements. He served as a Member of Parliament in 1584 and 1585. In 1587, he lead a fleet of thirty vessels on a daring and devastating raid against the Spanish city of Cadiz. More than 10,000 tons of shipping was destroyed by his fleet, most of which had been destined for the Armada. Sir Francis became Vice Admiral of the English fleet in 1588. Spain attempted to invade England and although the famous sea battle raged for a week, Sir Francis' fleet were victorious. The Spaniards feared him so much that they called him El Draque "The Dragon". Some of his achievements are regarded as being among the most brilliant in British naval history. He was an intrepid and resolute seafarer. No other English seaman played a more important role in English history than Sir Francis Drake. The Drake family came from the ancient port of Plymouth in Devon where there are many monuments dedicated to Sir Francis. These include the famous Armada Monument marking the defeat of the Spanish Armada in 1588. During the planning of Grenada Village, the Drake connection with this area was introduced. Grenada is an island situated in the southeastern Caribbean Sea and is the southernmost of the Windward Islands, not far off the South American mainland. All these islands are part of a group known as the Lesser Antilles and form part of the West Indies. Christopher Columbus discovered Grenada in 1498. The capital and largest town of Grenada is Saint George's. The island is of volcanic origin and has an area of 120 sq. miles (311 sq. kms). To recount this direct connection between one of one of history's more famous explorers and the very first land owners and settlers of this specific area, all the streets in Grenada Village bear West Indian names. The only exception is Mark Avenue which is the road extension from Paparangi.